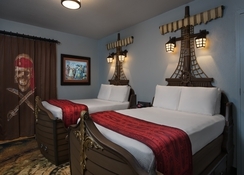 Built in a colonial-style that gives a distinct Caribbean vibe, Disney's Caribbean Beach is suited for families who want to experience Orlando with some added benefits. 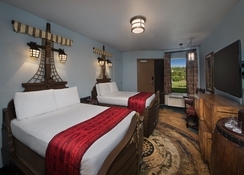 By staying at this hotel you get both early and late access to selected attractions at Disney theme parks as well as complimentary transport to Walt Disney World and Disney Springs. The resort is split into five different islands with their own theme and with markets, forts, jogging trails, beaches and many activities on-site so your stay here will be as entertaining as ever. Disney's Caribbean Beach is close to major attractions and there are several golf courses including Falcon’s Fire Golf course nearby to the resort as well. Disney's Caribbean Beach is close to the major attractions in and around Orlando, Florida. Walt Disney World (2.6 miles), Old Town Amusement Park (4.5 miles), SeaWorld (8.7 miles) and Universal Studios (12.7 miles) are easily reachable. 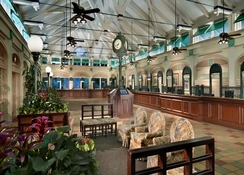 The resort also offers free transportation to the theme parks. Golfers can play on a range of courses including Falcon’s Fire Golf Course which is only 5 miles away and Disney’s Lake Buena Vista Golf Course is 4 miles from the property. 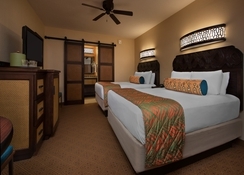 You can choose a variety of rooms at Disney’s Caribbean Beach and the resort hosts 2109 in total. Standard Rooms come with two queen beds and can sleep up to five adults, there are rooms with a water or pool view, King rooms have an extra-large bed and views of the lake, courtyard, pool or woodlands and sleep two adults while Preferred rooms sleep up to 5 adults with views of the courtyard or woodlands. 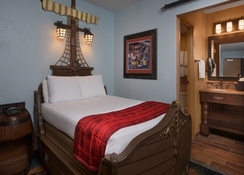 There are also pirate theme rooms available that sleep up to four adults with either a standard view or water view. 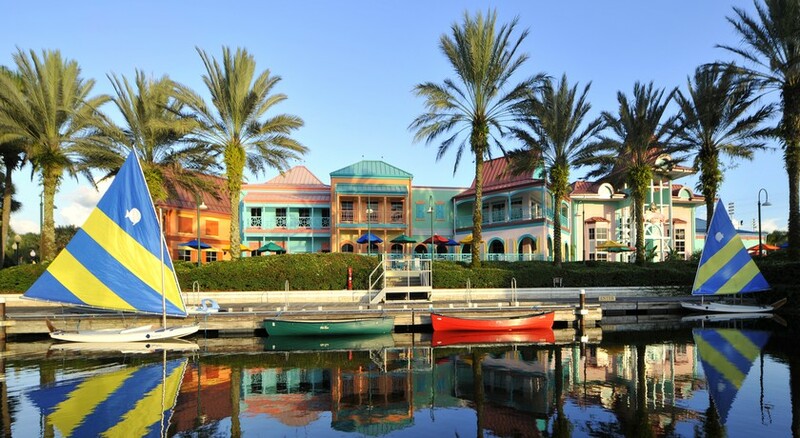 You will find a multitude of dining options at Disney’s Caribbean Beach. Sebastian’s Bistro provides Caribbean dishes in a casual setting, Centertown Market give off an authentic street food vibe, Island Markets offers snack stations while the Spyglass grill has American food with a Caribbean twist. There is a bar on-site as well as a pizza delivery service. 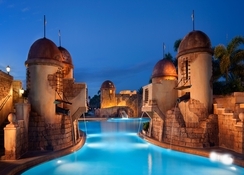 Fuentes del Morro is built to resemble a Spanish-colonial fortress and includes a large pool, water cannons and various slides. There are three playgrounds on site, jogging trails, nature walks and watersports. Guests can also enjoy a movie in the great outdoors, take part in the campfires or catch and release fishing. Golfers can avail of the various courses that are close by while the Lake Buena Vista Factory Stores is only 5 miles away.